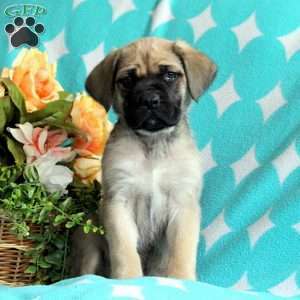 This adorable little lady is waiting for her new loving home and family. 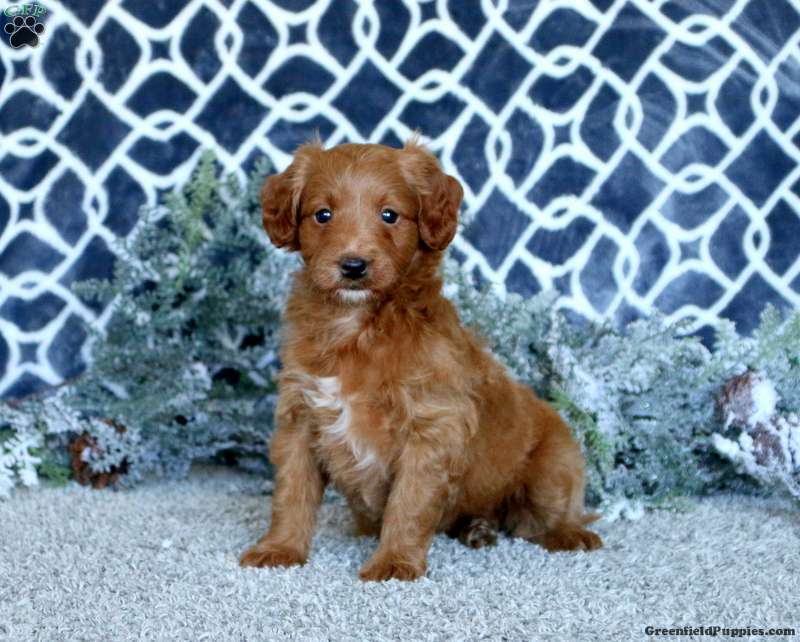 Rianna is a friendly and playful F2 Mini Goldendoodle puppy. She has been vet checked and is up to date on all shots and wormer. The breeder provides a one year genetic health guarantee. 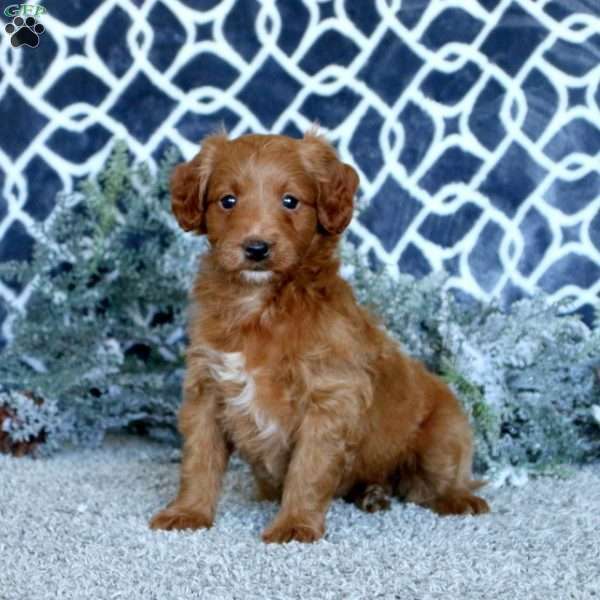 Contact the breeder today for more information and to set up an appointment to meet this pup and both parents as they are on the Smucker’s premises. Kathy Smucker is a breeder from Narvon, PA with an adorable litter of F2 Miniature Goldendoodles. Contact Kathy today for more information.